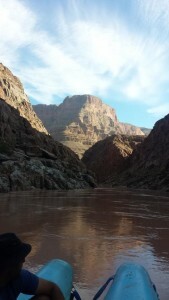 WRE Gave us a Great Experience on This Fantastic Colorado River Adventure! The Western River tour guides made the whole trip a great experience as they catered to everyone's needs. There was quality food to eat every day prepared by the guides, and they were very organized. Camping on the beaches was a new experience for me and my brother, but it was simple and authentic as we were absolutely amazed by the sheer beauty of the stars above us each night! Everyone on the trip was friendly too and it was an overall wonderful experience, I highly recommend taking a trip to the Grand Canyon with Western River Expeditions!